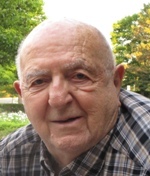 Morris Irving Cooper, 96, of West Bloomfield, Michigan, died on 30 March 2019.
on Tuesday, 02 April 2019 at 2:00 PM . Rabbi Daniel Schwartz officiated. Interment at Machpelah Cemetery.